I’m very pleased to have my architectural photography featured as the cover story in the November issue of Vero Beach Magazine! This is from a recent shoot for interior designer Thom Filicia and Sea Oaks Beach & Tennis Club highlighting the fantastic redesign of their oceanfront beach club. Check out all of my interior photography in Vero Beach Magazine, available on newsstands and by subscription. 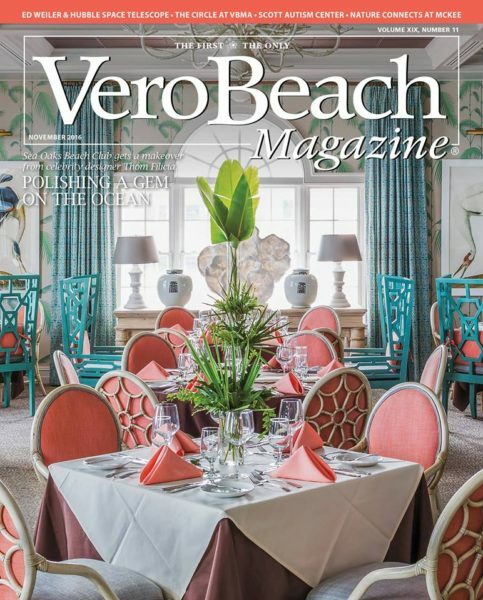 A special thanks to the marketing committee at Sea Oaks Beach & Tennis Club, Thom Filicia and everyone at his office and Vero Beach Magazine for helping make this happen.